Hagerstown, MD – Lloyd Gene Divel, 73, of Hagerstown, MD passed away on Sunday, November 25, 2018 at his home. He was born on July 7, 1945 in Gambrills, Maryland to the late Marshall E. Sr. and Elsie B. Stephens Divel. Lloyd was a 1963 graduate of Boonsboro High School. He was employed as a Machinist with Mack Trucks of Hagerstown, MD for 37 years until retiring in 2005. He was a veteran of the U.S. Army serving as a Staff Sergeant during Vietnam. He was the recipient of the Bronze Star and the Purple Heart. 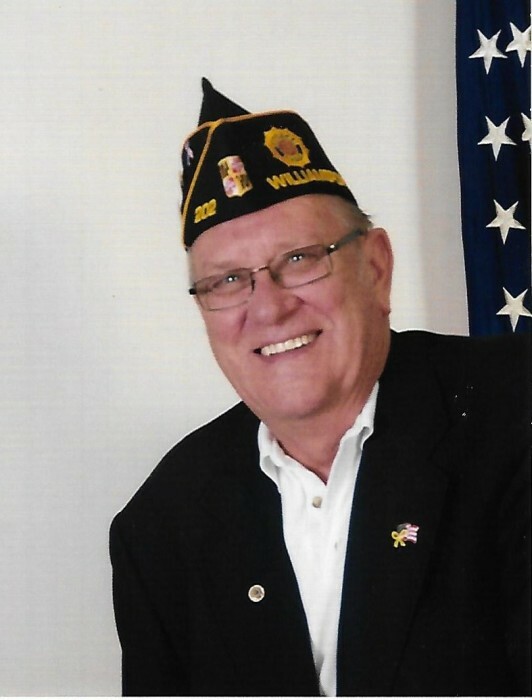 Lloyd was a member of Potomac Post #202 American Legion Williamsport, MD where he served as Past Commander; Potomac Fish & Game Club; Amvets Post #10 Hagerstown, MD; Conococheague Tribe #84 IORM Williamsport, MD; and UAW Local #171 of Williamsport, MD. He is survived by his wife of 21 years Sandra M. Kretzer Divel; daughter Teresa Colliflower and her husband Chip of Berkeley Springs, WV; son Tony Divel and his girlfriend Renee Melton of Hancock, MD; stepdaughter Carol Breeden of Martinsburg, MD; granddaughter Amanda May and her husband Brad of Hedgesville, WV; great granddaughter Karson; brother Kenneth Divel of Frederick, MD; brother Roger Divel of Cleveland, TN. He was predeceased by a sister Betty Manning and four brothers Marshall Divel, Jr., Herbert Divel, Robert Divel, and Carol Divel. The family will receive friends at the Osborne Funeral Home 425 S. Conococheague St. Williamsport, MD on Wednesday, November 28, 2018 from 6:00-8:00 pm. The funeral home will be open after 9:00 am on Wednesday for the convenience of family and friends. Funeral services will be held at Osborne Funeral Home 425 S. Conococheague St. Williamsport, MD on Thursday, November 29, 2018 at 11:00 am with Rev. Ernest E. Witmer officiating. Interment will be in Greenlawn Memorial Park Williamsport, MD. Military honors will be provided by Joint Veterans Council of Washington County and Marine Corps League of Hagerstown, Maryland.